towards the +120mW total of 532nm. 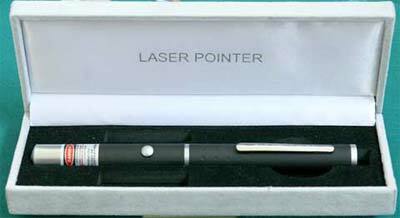 This is a great laser. I am very impressed. The build quality of the body is very strong and well made. This laser is super bright and is probably best used with laser glasses. The beam is clearly visible in dim to no light. Jack (the owner) has great customer service if you have any questions or problems. I am very happy with my purchase. Highly recommend Optotronics! Laser is great. Jack rated mine at 131mW so 11mW over spec. Beam is very thin if that's your thing. Didn't measure divergence but it seems really low. Creates a nice visible beam in the night sky for a pretty lengthy distance. Only negative would be the casing. Button is somewhat loose (this is normal for this host). Service was excellent, laser came the next day with expedited shipping. All in all, would you rather have $150 or a high powered green laser? I think the choice is obvious here. Received this laser today and I gotta say it's really bright!. First thing I did was pop in the batteries and calculate the mRad and observe the dot shape. From 18.8 feet I the dot itself was 8mm resulting in an mRad of only 1.13! From 50+-5 feet the dot was 30mm which gave me an mrad of 1.8. I averaged the two and I got 1.47mRad. I don't know how accurate my calculations are but I think that's pretty good. The dot is a tad ovalish but closer to circle so I assume its running in near TEM00.